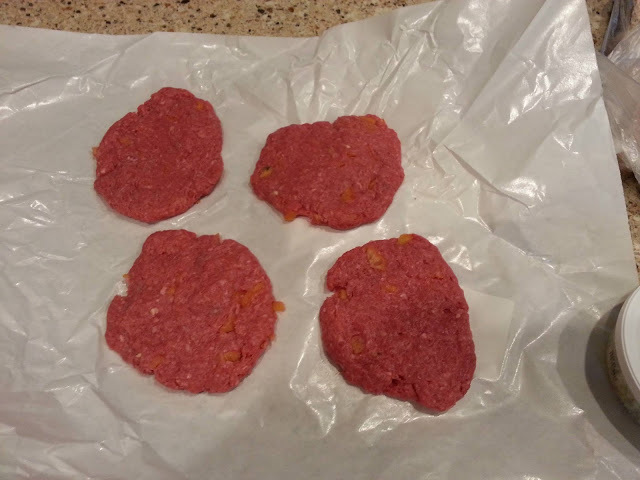 My wife came across this recipe for The Ultimate Spicy Burger on Youtube (video is posted below). 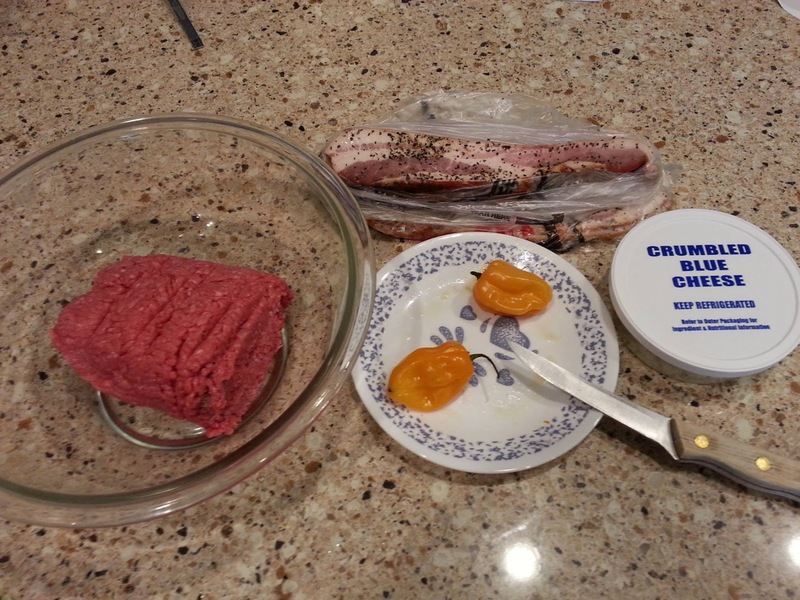 The original recipe called for Scotch Bonnet peppers, which are difficult to find around here. So, we decided to try this recipe with our Habaneros. Oh Yeah! Just the right about of spice and maximum flavor. Here is how we did it. We used about 1 1/4 or so pounds of 80/20 ground beef and 2 Habaneros. 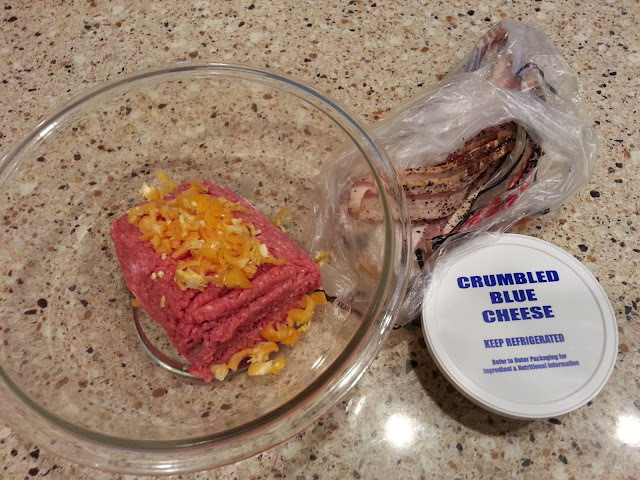 Mix the chopped Habaneros in with the ground beef. Oh yeah! 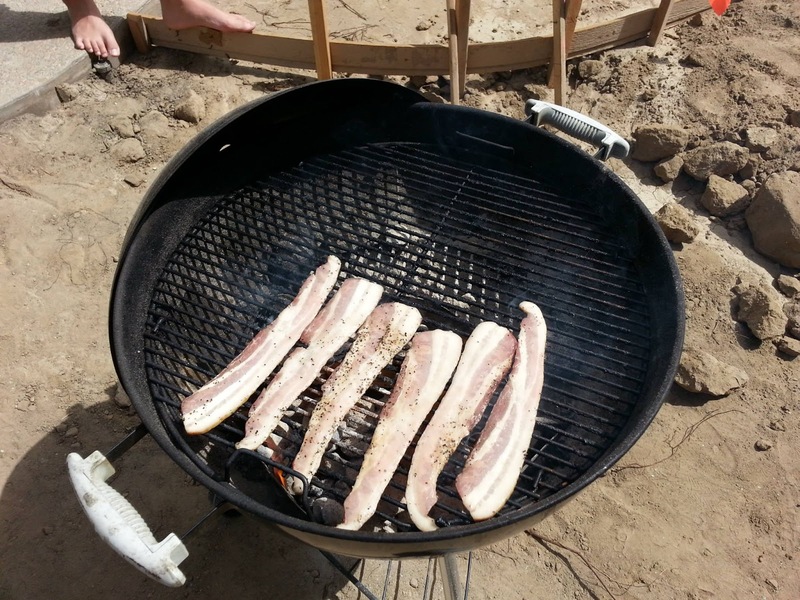 Bacon on the grill. Doesn't take long so keep a close eye on it. 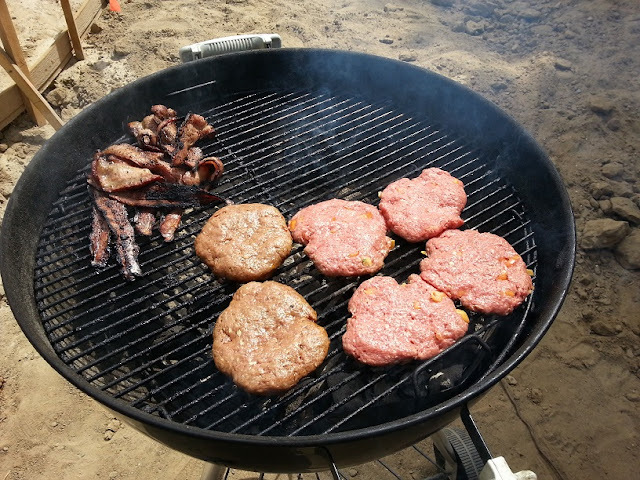 Move the bacon off the direct heat and put the patties on to cook. Next to our Spicy Blue Cheese and Bacon Burgers are my wife's Monterey Jack Cheeseburgers . 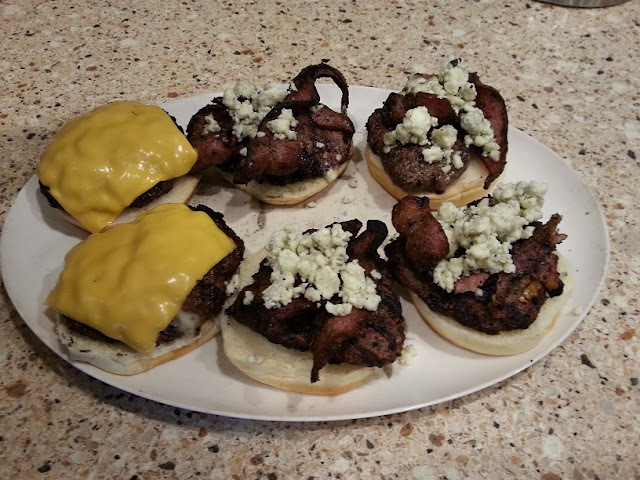 When burgers are off of grill, place bacon and blue cheese on top. I think next time I try this recipe, I will also add a bit off blue cheese salad dressing on the burger. Chow Down!